Earthships are super energy and water efficient homes that are typically off-grid but can also be grid connected. This means little to no water and electricity bills plus the empowering feeling of self-sufficiency! They are made with natural materials such as earth and straw and upcycled materials such as tyres and bottles. The design ensures that winter sun gets in and summer sun stays out, resulting in glorious indoor living conditions without the need for an air-conditioner. A beautiful food producing garden is also part of the Earthship design. Earthship construction methods are easy to do yourself so you can save money by putting in your own labour and only pay the builder to do the hard stuff. Practical sessions of Earthship construction methods including tyre wall construction and bottle brick making. Learn the art of “tyre pounding” using tyres and earth as inexpensive, sustainable building materials and learn how to make beautiful bottle bricks which bring colour and light into your home! We will be continuing construction of Earthship Ironbank 2, an Earthship inspired extension to an existing mud brick home in Ironbank, South Australia. 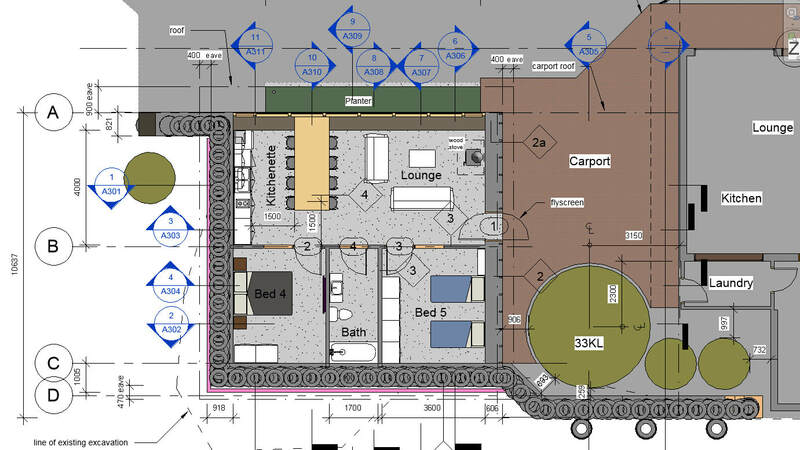 The design (by Martin Freney of Earthship Eco Homes) incorporates tyre walls (approx 500 tyres), strawbale walls, and cob walls with a corrugated iron roof and concrete slab floor. Q&A sessions where you can ask all your Earthship questions. Free camping at Earthship Ironbank is included to facilitate participants who are not within easy driving distance (although you are welcome to camp even if you are local). Delicious Food will be provided as per The Schedule below: lunch and dinner on Saturday and breakfast and lunch on Sunday. Plus morning tea and knock off drinks and nibbles. Please indicate your dietary requirements on the web-form. We have limited numbers to this workshop so please secure your place in the workshop by making prompt payment. 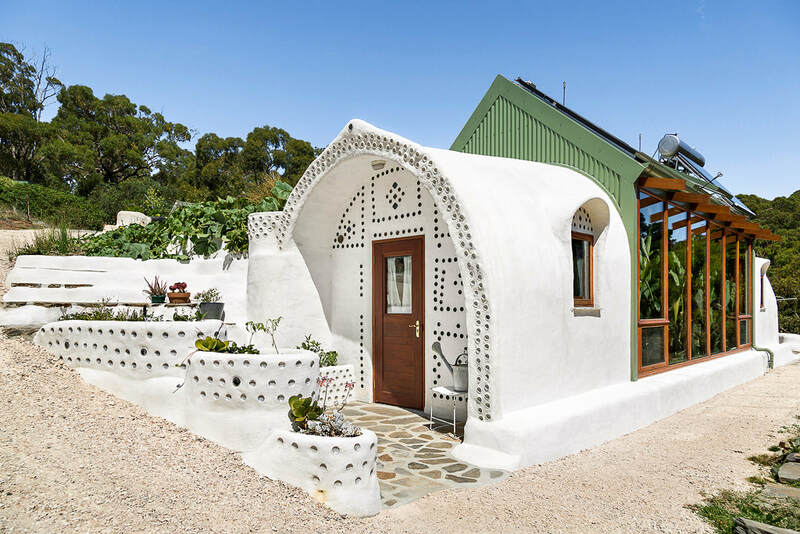 Earthship Ironbank is a bed and breakfast in Ironbank in the Adelaide Hills, 40min drive from the CBD and airport, collocated with Marty and Zoe Freney’s strawbale home on 4 acres where they have established a permaculture property. This pioneering project has broken new ground in Australia, inspiring many other similar projects. It demonstrates that you can get council approval for an “Earthship”, it shows how the Earthship can be adapted to suit local conditions (and regulations) and it enables people to experience off-grid Earthship living. The site of “Earthship Ironbank 2” is just 1km up the road from Earthship Ironbank (20 min walk). There is a beautiful existing two storey mudbrick home with a dam and lots of wild garden space. The Earthship is an extension that will provide two extra bedrooms, a bathroom, an open plan kitchenette and lounge room. Martin Freney is a building designer, DIY builder, university lecturer and industrial designer. He is the designer and owner builder of Earthship Ironbank, Australia’s first council approved Earthship! He is a prominent advocate for Earthships and he has designed numerous Earthships throughout Australia via his sustainable design consultancy business Earthship Eco Homes. His PhD, which investigated the thermal performance and sustainability of Earthships, took him to Taos New Mexico USA to visit Earthships and Earthship inhabitants. 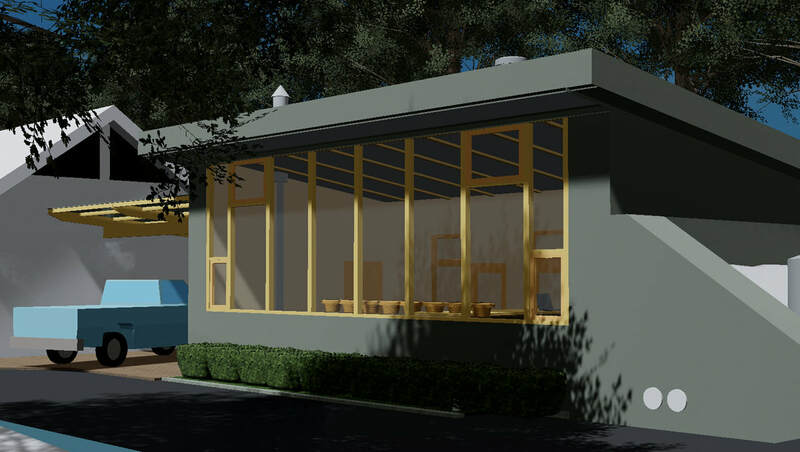 Jenni Washington and Jamie Bisset will be the proud owners of Earthship Ironbank 2 – they live on site in the mudbrick house and look forward to the extra space that the Earthship extension will provide. They have agreed to host the workshop, make delicious food, and do some tyre pounding too! The venue is approx 40min drive from Adelaide CBD or Adelaide Airport. You can catch public transport (bus) from Adelaide Airport to the CBD and then from Adelaide Railway Station to Blackwood Station (Belair Line Train). If you arrive on Friday night (and camp), we can give you a lift from Blackwood Station to Ironbank (10min drive); and back to Blackwood Station for your homeward journey (you may need to leave the workshop early on Sunday afternoon depending on your flights). Another possibility is to organise a ride with another person attending the workshop - I'll share email addresses to facilitate this. We encourage camping because it is a great way to meet new people and it also reduces transport requirements. Facilities are quite basic. There is a composting toilet and an outdoor kitchen with (limited) water and electricity (sink, fridge, kettle, crockery and utensils). Bring a solar shower bag if you want a warm shower. The final 100m of the track to the camp site is suitable for 4WD only. There are limited car parking spaces for 2WD – please indicate on the booking web-form if you are camping. You are welcome to camp on Friday and Saturday night but Sundary night is not possible due to BnB guests in Earthship Ironbank. Please fill out the web form to apply to be a participant in this workshop; we need your contact details and would like to understand a little bit about who are. You also need to accept the terms and conditions. You will receive a reply within two days to advise on the outcome of your application. Your place in the workshop will be finalized upon receipt of full payment; so please make prompt payment to avoid disappointment. No refunds – please be sure before you sign up and make payment. In the event of bushfire or other unforeseeable event the workshop will be rescheduled to another weekend. Or it will be cancelled in which case a full refund will be offered. Participants who are unable to comply with instructions regarding the safe and the orderly running of the workshop will not be allowed to participate and will forfeit the fee for the workshop. Please make payment via EFT to secure your place in the workshop. You will be emailed EFT details if your application is accepted.